For some reason, humans always try to make things way more complicated than they actually are. In reality, some things are just plain simple. What types of exercises should be performed at home, on days in between their sessions, to further strength development? The answer is very, VERY simple. So simple, in fact, that most of you (99%) already know the answer. You were taught the solution in elementary school gym class at a very young age. The answer is so obvious, it will make you want to kick yourself. The push-up is such a common exercise that it often gets overlooked completely. Maybe it’s because they are so basic, people fail to understand just how powerful they can actually be. 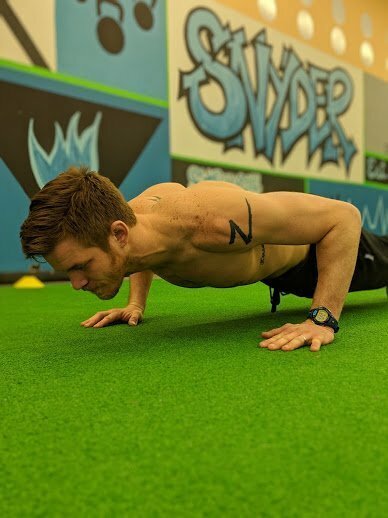 Truthfully, the push-up is one for the best bodyweight exercises known to man when it comes to developing both upper-body strength and core stability. Adding them into your daily routine is a piece of cake, because push-ups can be performed anywhere, at any time. You can be at work and still get a set in between meetings. You can easily squeeze some quality reps in between episodes of your favorite Netflix show, or while you’re in the Fortnite lobby waiting for your next game to start. It’s seriously as simple as making the decision to include push-ups as part of your daily routine. Trust me, you will be extremely happy with the results if you perform them daily. After you have found your total daily goal number, stick to it, and make sure you are hitting that number of reps each day. It really helps if you tell people about your new challenge. Better yet, ask someone to join in on the challenge, that way you can hold each other accountable. Whatever method works for you, just make sure that you are committed 100% to this new challenge. NO EXCUSES! With each new week, you will be getting stronger naturally, as a result of your consistency. You’ll find that you are performing higher rep sets with greater ease. This means your body is becoming acclimated to the amount of push-ups, so it’s time to add more reps to the daily goal. Don’t add more than you can handle. In fact, the number should be so minuscule that you don’t even really notice. (Maybe add 25 or so) This way, it’s not a shock to the habit you are trying to build. If you add too many into the routine at once, you will burn out and fail to establish the habit for the long-term. I could sit here and ramble on about the benefits of push-ups until my fingers bleed, but you’re not going to believe me until you actually try out the challenge. The absolute key is CONSISTENCY. If you take the time to establish this small habit daily, you will be handsomely rewarded with amazing results. Do you look at yourself in the mirror and see room for improvement? Have you been looking to lose your excess belly fat, but really have no idea where to start? Have you ever joined a gym, but quit after a few weeks because you lost interest and motivation? There’s no denying that hiring a successful personal trainer is a surefire way to get into great shape. In fact, it’s the duty of your trainer to make sure you are consistently seeing results. If you want to get in the best shape of your life, you absolutely NEED a professional coach to guide you along the way. This is quite possibly the most important role of any coach. Let’s face it. There will be times where you find it tough to get to the gym. There will be days when you’ll feel the temptation to find an excuse to skip your workout. Besides, you’ve been so crazy busy lately with school/work/etc., right? This is where a your coach comes in. In order for you to make any progress, you must be consistent. Having a set time scheduled for your workout, just like any appointment, will enforce a commitment to your program. You will know that, in order to cancel your appointment, you will not only have to make an excuse to yourself, but you are going to have to contact and convince your coach as well. If your coach is worth anything, he or she will be attentive to your attendance and will ensure that you make up any workouts that were cancelled with a substantial reason. If your reasons seem like excuses, or are occurring too often, it will also be your coach’s duty to discuss this with you to help better understand the issue. All of these situations will serve to benefit you and build a more consistent habit of training. 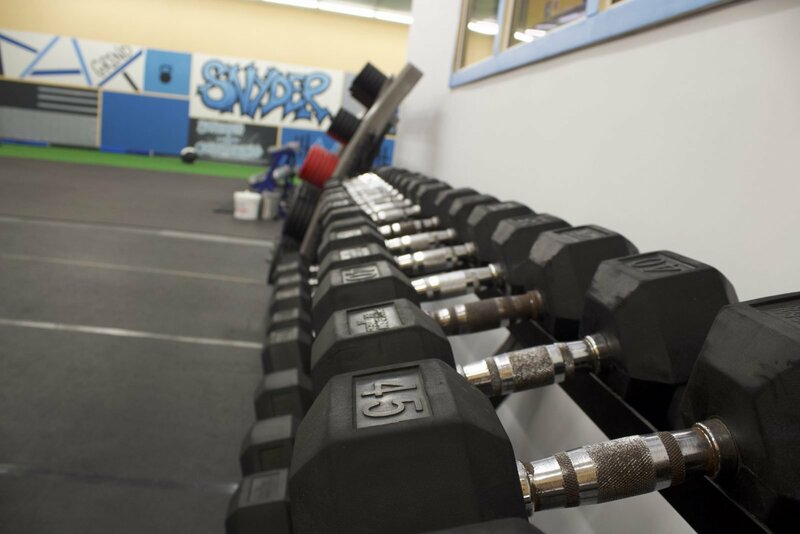 Building a solid, lifelong routine of strength training and conditioning should be the ultimate goal. Strength training and conditioning will help you get the most out of your life. One of the most difficult challenges about strength training is figuring out what plan or program you should follow. In a world full of social media fitness “experts”, it’s hard to skim through the sea of information. It’s difficult to decipher which exercises are best for you, and which ones are just plain garbage. With a personal trainer, this problem is solved. Your coach will select exercises that are not only effective, but they also minimize risk of injury. There are plenty of fancy exercises that seem intriguing when you see them on Instagram. It’s your coach’s job to sift through the dirt and decide which exercises will be best for your program. Your coach should have plenty of real-world, hands-on experience on top of a solid foundation of formal education in exercise science, physiology, and/or biomechanics. Certifications are sometimes a great way to distinguish a skillset. However, in the end, your coach’s experience needs to be more than what they learned at a weekend seminar. They should have hundreds thousands of hours under their belt working with athletes and clients. If they don’t, they need to be working as an assistant under someone who does. This background experience and education ensures that your coach is capable of designing and executing a well structured program. This program will be individually customized to make sure you’re reaching your specific goals. A competent coach will have a plan in place every time you set foot in the facility. Your coach will also reevaluate and modify the plan when needed, making sure to keep you progressing. We all know that safety is high on the priority list (possibly #1) when it comes to the gym. If you’ve ever seen some of the ‘gym fail’ videos that circulate on social media, you have a pretty good idea of some of the more extreme injuries that could occur if you don’t know what you’re doing. On the less extreme end, if you’re not careful, you can develop some pretty serious pain from performing even the most basic exercises, slightly wrong. If you hire a qualified and knowledgeable personal trainer or strength coach, you can be sure that he or she will be correcting your form and monitoring your technique throughout the entire workout. If you put yourself in a posture that compromises the integrity of your movement during an exercise, your coach will correct your posture to eliminate future problems. Your coach will make sure that you are performing every exercise with proper technique, which will maximize your results. Sometimes it is difficult to find the motivation to fully exert yourself during a workout. When you’re going through a workout alone, it’s easy to skip out on exercises that are not favorable. A good coach will help you avoid these hurdles. A strength coach will know just how to urge you on and get you pumped up. Throughout your workout session, your coach will read your body language and, if necessary, provide the right motivation to keep you moving. Everyone is different, but an exceptional coach is someone who can find out the most effective way to motivate each type of person. There’s a fine line between a training session that is just ‘alright’, and one that feels like you gave every ounce of effort possible. If you have the right trainer, you will get the most out of your strength and conditioning program, instead of just going through the motions on your own. Coaching makes a huge difference in your results. This benefit may be a little on the soft side, but it still deserves a mention as a key benefit to hiring a trainer. If you’re serious about making fitness an integral part of your life, you will need a solid mentor to rely on for advice along the journey. A good coach will be there for you to answer questions, give suggestions, and provide guidance to assist your progress. There is a reason it’s called a ‘personal’ trainer. You will spend a good deal of time with your coach during training, so it’s really important to build a solid, trusting relationship with them. If you don’t connect with your coach, the relationship isn’t going to last very long, and the chances of success will be minimized. During your sessions, you will experience a wide range of emotions. In my experience, personal training even tip toes the line of psychological counseling, as most clients will open up about their most personal issues during training. A good coach will be able to listen well and give friendly, empathetic advice, all while providing a killer workout. I want to talk a little about a broad topic that applies to basically every aspect of daily life, but is especially important in the world of fitness and performance training. The topic I am referring to is effort or the amount of work you apply to a given task. Effort is not the only key to success (in anything), but it is one of the single most important determining factors. If you’ve ever looked back on a failure, more often than not, your degree of effort is probably to blame for the shortcoming. With the new year upon us, you (just like the rest of us) have probably set some goals for yourself. Regardless of what those goals may be, they are not going to just fall into your lap. In fact, whether or not you achieve these goals is going to depend directly on the amount of effort you have put into the process. Imagine two identical twins who are the same height and weight (far fetched, but humor me). The twins decide to join a gym with the goal to lose 20 pounds and get into good physical shape. They follow exactly the same training program and strictly adhere to the same meal plan. Given this scenario, you would think that these two individuals will have the exact same results, right? The only thing that is going to determine the outcome of this scenario is EFFORT. If twin #1 comes into the gym and pushes his/her limits during each and every training session, while twin #2 goes through the motions, who do you think will see more results? Sure, they will be doing the same workouts with the same trainer, but their results will completely different in the end. Twin #2 will probably make excuses why they didn’t see as much progress as their counterpart, but in reality, the effort just wasn’t there. As I said earlier, this topic applies to basically any aspect of life. Whether or not you are achieving what you want in your own life can be directly attributed to the amount of effort you are willing to devote. Just showing up is not going to cut it. You actually have to try your hardest! Want a better marriage? Put in the effort. Want to be more financially stable? Work harder and smarter. The list goes on and on. I could write about this topic for days and still have endless examples of how your effort directly influences your results, but I think I’ve made my point. The truth is, when you are looking to achieve something, you better be willing to put forth your absolute best effort, or else you will be left with nothing but excuses. These excuses may make you feel better about missing your goals, but underneath it all, you’ll know that you could have exerted more effort to make it happen. Keep this in mind for your next training session. Don’t just come in with the goal of completing a workout. Instead, try to get the absolute most out of the session that is humanly possible. Don’t hold back, or worry about failing. Push yourself to your limits and results will follow. I was browsing Instagram today and came across a great topic and piece of advice from the highly respected fitness marketing and business guru, BEDROS KEUILIAN. I’ve gained so much value from Bedros, so if your interested about business/entrepreneurship, or just success in general, you should check this guy out immediately (He’s brilliant). Bedros talked today about the importance of “MICRO DECISIONS” and their effect on progress and success in reaching a goal. When you think of success, you typically would believe that it is a result of BIG decisions, or larger turning points in the path of progress. However, in the grand scheme of things, it’s truly the smaller day-to-day decisions that we make, that make the most impact on our journey. The decision to hit the snooze button, instead of getting up and starting your day at the time that you had originally planned. Making the choice to watch television in the evening, instead of reading a book or article. Snacking on potato chips instead of choosing a healthier alternative. Going straight home after work rather than going to the gym and getting a good workout in. But seriously, when you think about it, Bedros is right: Success comes from making a series of small decisions that add up to pay big dividends. Sure, you will have to make some big decisions along the way, but the largest deciding factor in any measure of success (wealth, relationships, career, etc.) is a person’s ability to consistently make the right decisions on a micro level. When we start to think about success with this mindset, you will begin to see the importance of commitment to good habits. You will also see small accomplishments as important, instead of constantly focusing on the end goal, which is especially important in the realm of health and fitness. Say your goal is to do 20 pull-ups, but you can only do 1 right now. You are not going to work on pull-ups for an hour, go home, go to bed, wake up and bust out a set of 20 the next day. It’s going to take days, weeks, or even months. But I can GUARANTEE that after a few months of consistently making those small decisions to put in the honest work, you will achieve your original goal. I could sit here for another hour and make up endless examples of how this simple ideology of “micro decisions” will work for you, but in the end, it must be YOU that makes the small decision to apply this lesson to your own scenario. If you have already made the choice to get this far into this article (instead of browsing mindlessly through your Facebook news-feed) you’re already better off. Now go use this information, build better habits, make better small decisions, and keep making progress, one small step at a time. While these are all VERY respectable ambitions, and are definitely key components to our BIG PICTURE goals, we need to start with the fundamentals of basic human movement. Once we develop the ability to access full ranges of motion and stability in dynamic movements, then we can start working on those target goals. Skipping the initial step of assessing and achieving proper movement patterns is like building a house on sand, eventually the whole thing will crumble. Without mastering the foundational movements, imbalances and weaknesses will lead to pain and/or serious injury. 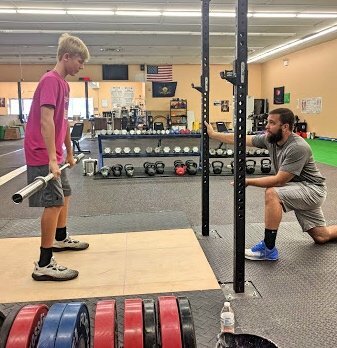 If you work with a coach and he/she didn’t start with some sort of functional movement assessment, you should start looking for a different coach. Take the deadlift for example. Most healthy people can get into some form of starting position and pull a light barbell to complete a fully locked out deadlift with very little risk of injury. They are able to do this even though they are unable to hold a bodyweight deep squat position for more than 10 seconds (if at all). However, when we start to add weight or increase the amount of reps performed without first developing the mastery of a weightless deep squat hold, the lack of mobility is going to lead to poor form and eventually pain and/ or injury. Pain and injury are both obstructions that will keep us from achieving our original underlying goals, whether it be weight loss, muscular development, or performance enhancement. So essentially, by trying to skip steps to make faster progress, you are actually creating a situation that will put you even further from your goals. A solid foundation of proper movement is a tool that can be used to achieve a toned, muscular body. Mastering a full range of movement will also lead to performance goals in your athletic arena of choice. No matter which way you look at it, it starts with movement. Mobility plays a large part in our lives. Even though most of us spend our days seated, in a desk, we still need to move around in the world to some degree. If you’re limited in terms of mobility, your quality of life will diminish, no matter how you look at it. I am a student of movement, so when I am in public spaces, I tend to watch the way people move. I watch posture and ambulation. I watch for limitations and weaknesses. I admire the fit people among us who move around effortlessly. I also feel the need to help those people I see wincing in pain, or those who are out of breath after a flight of stairs, but walking up to them with a business card seems a little forthcoming. This fuels my obsession with movement. “I’d like to see you try this when you’re 53. I get it, and I openly acknowledge that things are WAY different now than they were in your 20’s. But that does not mean you need to accept pain as it is. Sure, you will have some aches and some joints won’t work as well as they used to, but this doesn’t mean that improvements can’t be made. In most cases, pain can be greatly reduced (or eliminated altogether) through well-designed corrective exercise programming. However, not just any exercise program will do. In fact, some movements can do more damage than they help. That is why you need a trustworthy coach. One that is well versed in exercise science and corrective exercise. Not just any Joe-Trainer at your local big box fitness franchise will do. In order to correct imbalances and eliminate pain-causing weaknesses, you’ll need to employ someone who is well-educated and knowledgeable. This is another topic, in itself, that we will save for another day. The point is: you DO NOT have to go through life accepting pain. Pain is simply a warning sign from your body saying: “you better do something to fix this, or something real bad is about to happen.” A good coach will take this warning sign, assess the movement, and prescribe exercises that will correct the imbalance to eliminate the pain. Before you go to the doctor for your next cortisol shot, start working with someone who specializes in rehabilitation or corrective exercise programs. It may take a little work, and you will probably have to break a sweat. However, starting a movement-based strength and conditioning program may be exactly what you need to avoid costly medical procedures and get back to living life with less pain.